The CEO and co-founder of THQ Nordic AB Lars Wingefors has given his thoughts on the Metro Exodus exclusivity deal with the Epic Games Store on PC. The exec said that he supports the decision made by the company's Koch Media subsidiary - and its Deep Silver publishing label - and that he trusts the judgement of the teams at these firms. This follows the THQ Nordic Twitter account saying that while the company doesn't rule out its games being timed exclusives on certain platforms, consumers should be able to play their titles wherever they like. "I fully support our sub-groups' autonomy to run their respective businesses," Wingefors said. "I believe it's in the group's, and ultimately the consumers', best interest that business decisions are made close to the market and this is the group's consistent business model. Oh, and THQ Nordic AB has laid out just how it is structured after confusion of its corporate layout. "I have noted that there is some confusion about the two different THQ Nordic entities, the parent company and the operating entity in Vienna," Wingefors said. "As already communicated to shareholders last year, the parent company will change its name to better reflect its status." Deep Silver announced just over two weeks before the launch of Metro Exodus that the title would be exclusively available on Epic's brand new storefront on PC for one year. This follows pre-orders being live for the apocalyptic title on Steam since, um, August 2018. The publisher said that purchases made before the announcement were to be honoured on Steam, with Metro Exodus pulled from that platform later in the day. Valve has said that the move is "unfair" to consumers. 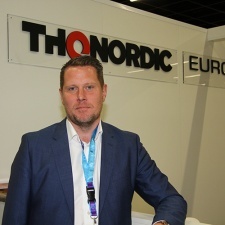 We caught up with Wingefors last year to catch up on what has been an eventful few years for THQ Nordic.